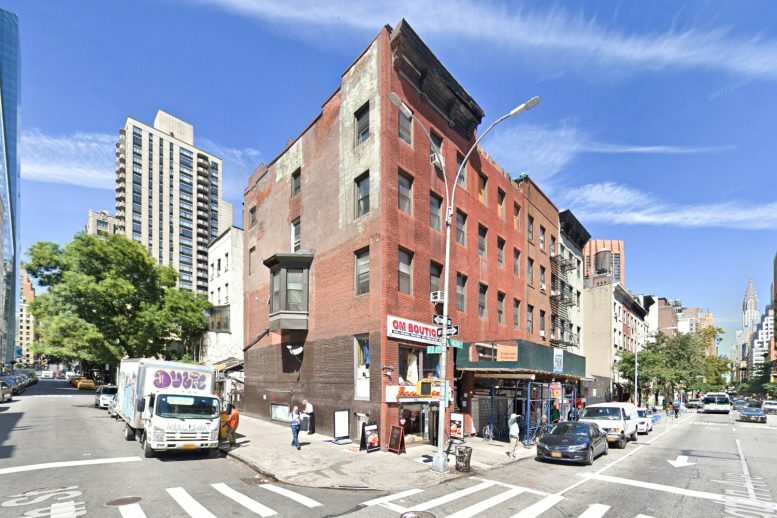 Permits have been pre-filed for a nine-story mixed-use building at 120 Lexington Avenue in NoMad, Manhattan. The site is a block away from the 6 Train’s 28th Street Station, and two stations away from both Union Square and Grand Central. Four blocks away is the scenic Madison Square Park. Daniel Dabakaroff of Skyland Management is listed as responsible for the development. The 95-foot tall structure will yield 37,900 square feet, with 1,500 square feet dedicated to residential use, 34,090 square feet for hotel use, and 2,320 square feet for a retail shop on the first floor. Six apartments will occupy the majority of the second floor, averaging nearly 700 square feet apiece, indicating rentals. An accessory amenities space will be included on the same floor. 48 hotel rooms will be included on floors three through eight, and the top floor will have a communal amenities space. Crown Architecture will be responsible for the design. Demolition permits have not been filed yet. The estimated completion date has not been announced. 1 Comment on "Permits Pre-Filed for 120 Lexington Avenue, Nomad, Manhattan"